Tarun Gupta June 30th, 2015 Link Building 3 comments. Google has landed in a fresh controversy soon after lifting the link penalty from Thumbtack, a Google Capital backed company. The penalty was issued just a week back. Now the website is running fine and got it rankings back. The decision, however didn't go well with the SEO community as they are calling it quite unfair. 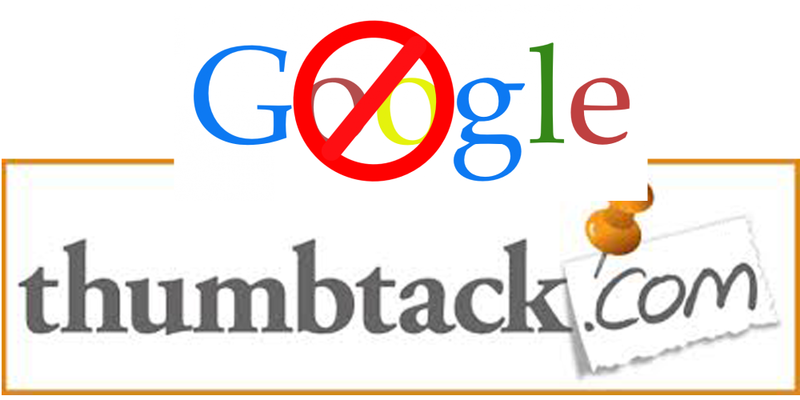 Last week, Google issued a manual action against Thumbtack over unnatural links pointing to their site. The company encouraged business owners to add rich anchor text links to their category pages, in exchange, promised them progress points towards completing their online profile. This seems to have led Thumbtack into a manual action. All the analytics at that time have reflected a huge drop in rankings and then a massive bounce back a week later. 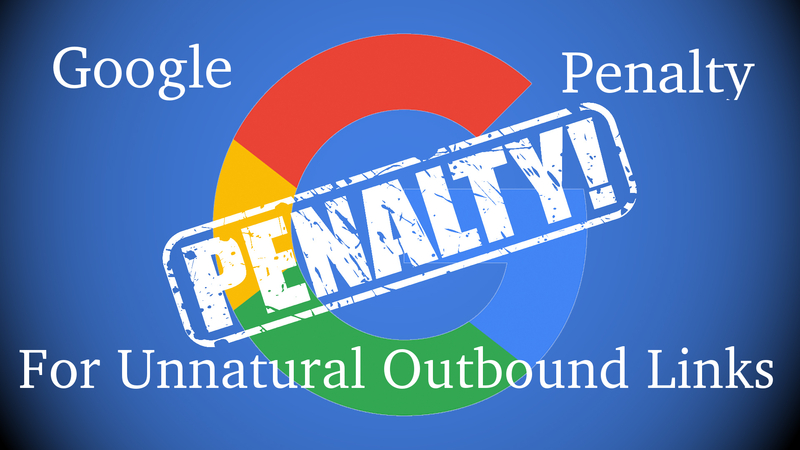 After receiving penalty confirmation from Google, the company emailed their associates, businesses and clients to either remove the link or make it unfollow. But less than a week later, Google Capital funded Thumbtack got it all back to normal as Google seems to have reversed the penalty. In an email to Kikolani, the company said that issue related to Google traffic has been resolved and their traffic seems to be back to normal. Why SEOs Getting It Unfair? The roll back has sent wrong signals to the SEO community and webmasters across the world. They have started raising questions on the process Google followed to drop the penalty. They are true to a certain extent. Most manual actions take time to recover and get their ranking and traffic back. But here, it took less than a week. Webmasters aren't ready to believe that being a Google Capital company Thumbtack followed the process that Google usually expects from a non-Google firm. 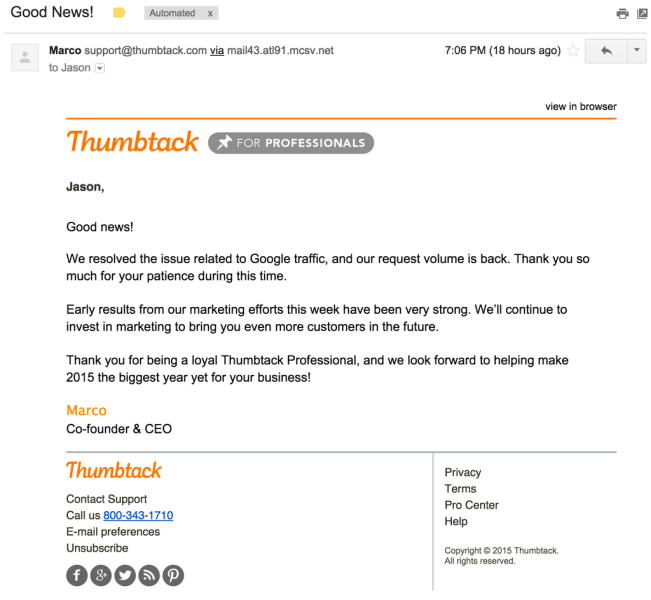 All that Thumbtack did was to request businesses to remove or nofollow the links. Webmasters are in doubt if the company had disavowed any links or had taken any additional measures to remove the bad links. Many experts known for their SEO skills, find it unnatural and shocking. Thumbtack’s organic search traffic is still 20% lower than before the penalty, as per SEMRush. Still, this appears to be amazingly tolerant on Google’s part. Google could evade the sort of criticism that we’re seeing here in the event that it had a minimum penalty time of, say, three months. Is that something that most site owners and SEOs might want to see? Presumably not. To issue a penalty, then lift it rapidly, which would clearly blend up the inevitable hornets nest of reputation, just doesn’t make sense.